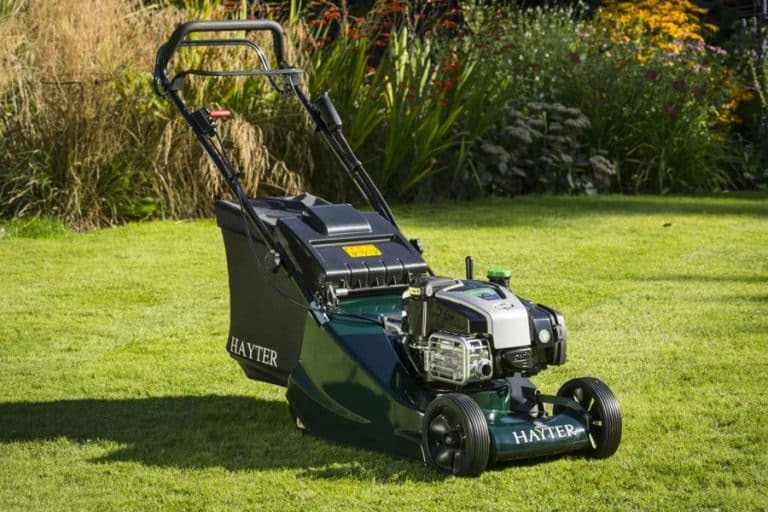 If you love the idea of a neatly mowed lawn with classic British stripes, then why not consider a Harrier 41, the newest petrol lawn mower from Hayter – “makers of the finest mowers”. New for 2018, the all-new Harrier 41 has a cutting width of 41cm (16”), so it is ideally suited for small- to medium-sized gardens. A two part rear-roller replaces the mower’s rear wheels, to produce the classic stripe on the lawn and to aid easy turning. The new Harrier 41 has been completely redesigned to offer class-leading grass collection performance, with the new grass bag that collects more cuttings than ever before, reducing the number of trips to the compost heap. The cutting height is easy to adjust from 13mm to 60mm, and the Vari-Pitch™* cutting technology aids collection in tougher conditions. Other clever features include a “Trim Side” built into the strong cast aluminum deck, allowing owners to mow right up to borders, retaining walls and raised flower beds, which reduces the need to strim edges after mowing. There are three options available with the new Harrier 41 range: Push, Autodrive and Electric Start. The popular Autodrive model is self-propelled, so there’s no need to push as you mow. It features variable speed control so you can adjust the pace to suit you and different mowing conditions. All residential mowers in the Harrier 41 range are powered by Briggs & Stratton® petrol engines and feature ReadyStart® for easy starting. But, if pulling an engine cable isn’t for you, simply choose the In-Start® Electric Start model, where the engine is started at the push of a button, for the ultimate in convenience. 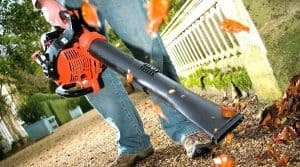 When you are done mowing for the day, you can clean your mower by simply connecting a garden hose to the new Easy-Wash port, to remove cuttings from under the deck in a matter of seconds. The Harrier 41 also features foldable handlebars so you can reduce storage space and transport it more easily.